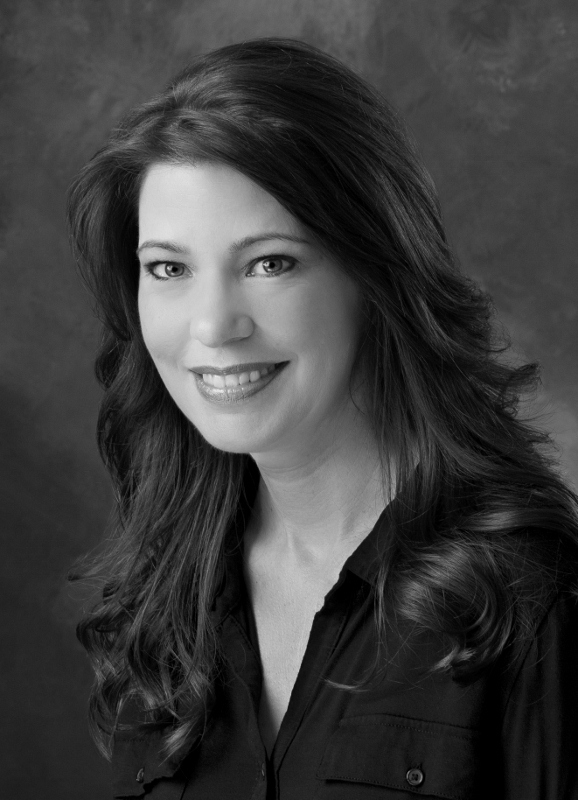 I met Karen Harrington several years ago when she spoke about her book Janeology at the Writers' Guild of Texas. She's been a good friend of our blog and we were lucky to have her guest post a while back. 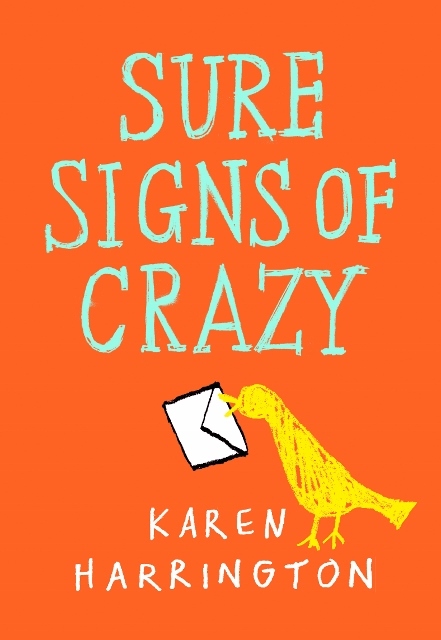 I'm so pleased she's back for another guest post, and this time on the eve of the launch of her new novel, Sure Signs of Crazy. You've never met anyone exactly like twelve-year-old Sarah Nelson. While most of her classmates geek out over Harry Potter, she writes letters to Atticus Finch. Her best friend is a plant. And she's never known her mother, who has lived in a mental institution since Sarah was two. Sarah and her dad have spent the last decade moving from one Texas town to another, and she's never felt truly at home...until now. This is the story of on extraordinary summer in which Sarah gets her first real crush, new friends, and the answers she's always been looking for. Years ago when my children were ages one and two, I received a life changing phone call. I was mopping the floor at the time and Sesame Street played on the TV. “We’d like to publish your novel!” said the voice on the phone. Those are the words every aspiring writer longs to hear. I’d been waiting to hear them all my life. One year later, I was ecstatic at the release of my first adult novel, Janeology, published by Kunati Books. And one year after that, Kunati Books closed. My novel went out of print almost as fast as it came out. Chalking this up to experience, I got busy writing a new novel. Around the time I finished the new work, I got a nice letter from a reader of Janeology. “After the mother is sent to a mental institution, what happened to the little girl?” the letter asked. Interesting question, I thought, and then pushed the idea aside. After all, I still had to polish my other novel. And get an agent. Who had time for interesting questions? I said a lot of mean things to my computer screen. This happened close to November, which is National Novel Writing Month (NaNoWriMo). I’d participated in this month-long challenge before and decided to write that “easy” novel and get the agent’s voice out of my head. I cast about for an idea and decided that, like the reader who emailed me months back, I, too, was curious about what happened to the little girl in Janeology. Fueled by caffeine and indignance, I wrote about a spunky, word-loving, twelve-year-old girl finding hope and courage despite living in the dark shadows of an infamous, mentally ill mother. Like all first drafts, it was a fine mess. But I loved the character and wanted to work on it. That novel turned into what is now SURE SIGNS OF CRAZY, which will be released tomorrow by Little, Brown Books. Many writers cite the one story that is their “heart” book. SURE SIGNS OF CRAZY is my heart book. Of course, I have a different perspective about that agent and her irritating rejection. Her advice turned out to be one of the great gifts of my life, which is why it will always be my favorite rejection. Ultimately, she gave me confidence by suggesting I should keep writing and not give up. Now, because I owe a lot to writer friends who’ve supported and inspired me (including the writers here at What Women Write) I share my rejection anecdote in the spirit of encouragement. Just in case you are thinking of giving up, don’t. Don’t give up until you’ve found the right story. DO NOT GIVE UP. You might be at the point where the advice “just write another novel” is frustratingly necessary. You might be on the verge of writing your heart book. And I, for one, want to read it. Joan here. Thanks, Karen, for sharing that wonderful story! Inspiring! Readers, you can find her book at Amazon, Barnes & Noble and Indie Bound. Thanks so much for having me on the blog today. I always love your posts and it's a treat to be here. My To-Be-Read Pile Just Ate My Cat!